This model has been discontinued. Please see recommendations for similar units at the bottom of the page. 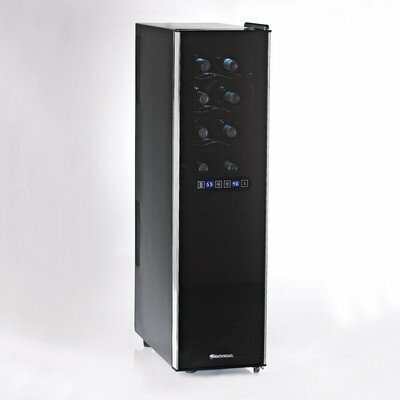 The Avanti WC2001 wine refrigerator is a 100+ Bottle capacity model with compressor cooling and digital thermostat. The model is discontinued but some shops may have a few models available. Built-in/Freestanding: has front venting so it cabe used both freestanding and built-in. Thermostat (Mechanical/Digital): adjustable digital thermostat with preset one-touch settings for red, white or sparkling wines. Temperature Range: 45°F – 65°F (8°C – 18°C). Display: red digital display (can be set to show temp. either in °F or in °C). 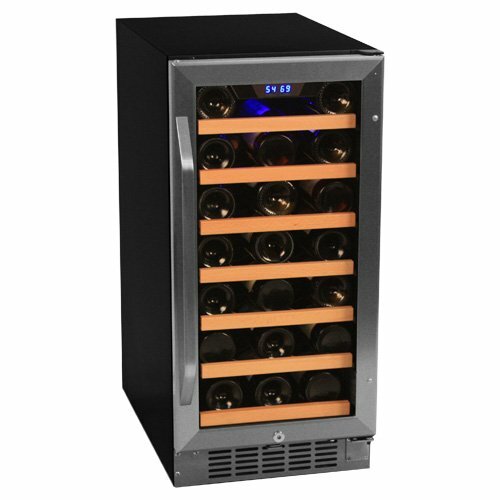 When you store mostly red wines, the temperature needs to be set at between 14º – 18ºC (57º – 65ºF). The indicator marked “RED” will light up in Red. 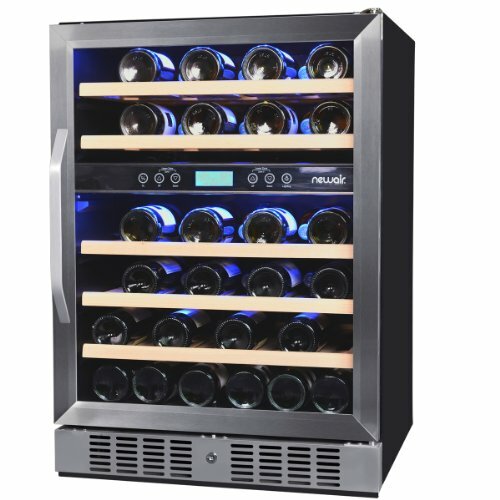 When you store mostly white wines, set the temperature at between 9º – 14ºC (49º – 58ºF). The indicator marked “WHITE” will light up in White. Price range: cc. US$ 900 (US$ 9.0 per bottle). Warranty: 1 year parts and labor, 5 years on compressor. I’m giving this a Poor review instead of Useless because it did run well for 5 years. Then all of a sudden, right after the compressor warranty expired, the compressor and/or control board stopped working. So here I am in the middle of a hot, steamy July, and I find that MY WINE IS COOKED. The internal temp. was 96 degrees. I had a nice collection and am still sick about it. Avanti doesn’t even make the compressor for this model anymore. Nice way to support your products, huh? NEVER. EVER. AGAIN. Rot in hell, Avanti. 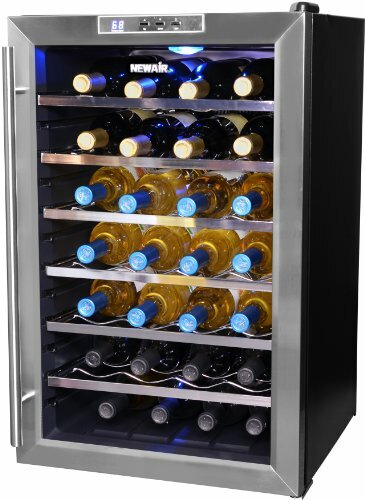 100-Bottle Wine Refrigerators – best-selling 100+-bottle home cellars. 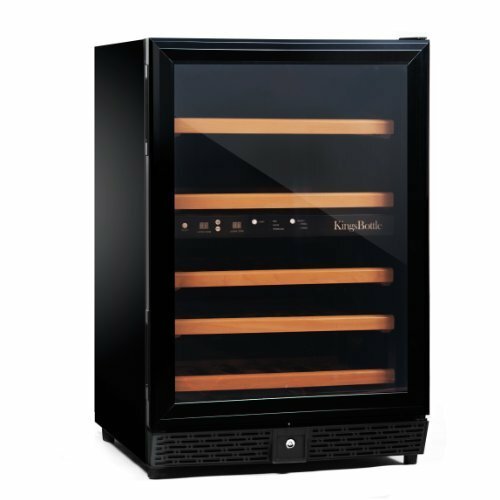 Freestanding Wine Cellars – overview of wine bottle cooelrs designe dfor standalone use only.